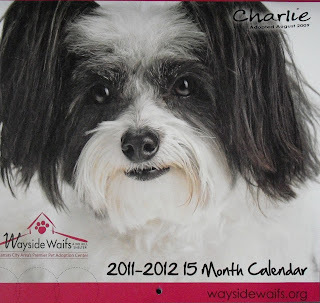 Allie is the Cover Kitty for the month of May on Wayside Waif's 2012 calendar! Congratulations, Allie! We always knew you were a pin-up girlcat! yeah Allie - a couple of boys here melted over your centerfold pic!! What a beautiful cover girl! We could recognize Allie easily with her beautiful pink nail caps! Such a pretty picture of you! That is so exciting. What a great picture. You did good getting on that calendar. Hope you have a super Sunday. Woweee Zoweee! Nice photo shoot Allie....you look very pretty on that black background with those pink nails! Bravo and concatulations! Congratulations, Allie! What a beautiful photo of you, too! Allie, you are so pretty, you deserve a whole calendar devoted just to you, and your cute pink toenails!! That is awesome! Concatulations, Allie! sooooo beautiful!!!!!!!!!!!!! ditto on "Concatulations!!" Me knows a real star! Oh Allie, you're beautiful. And your photo is helping support a wonderful charity. Quite the most lovely girl ever!! Oh! Be still my heart! Just LOOK at her! She's GLORIOUS! How cool is that! Calendar Cat Allie :) Great photo!